And it had me incredibly stumped for what to do. The sketch itself is out of my comfort zone as it is, and then to have to do something I have not done before...well, suffice to say I thought long and hard about what to design for this challenge. In the end, the solution came to me one evening while I was packing the girls' school lunches. 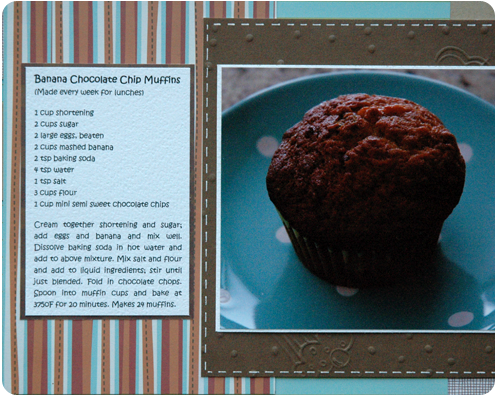 I have made banana chocolate chip muffins for my family for years, so often that it has become a given that there will be a muffin in everyone's lunch bag every day. Why not scrap the recipe for these muffins I thought? I have never scrapped a recipe before, and have been trying to include more pages of 'everyday life' in my albums, so this was the perfect idea. Once I had the topic of my page figured out, the sketch worked out perfectly and I was able to shrink it down a bit to fit my personal style. I did have trouble with embellishments on this page as I did not have anything really baking themed in my stash. 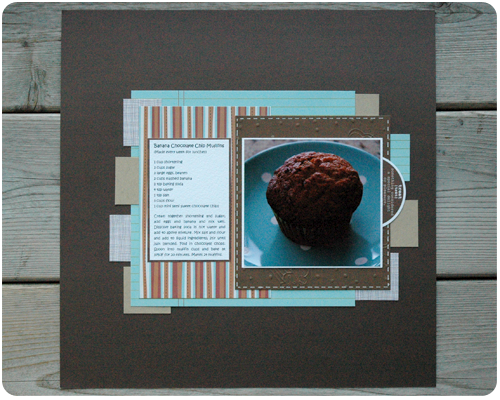 But with all the different patterned papers, and the one embossed paper, it seems okay, maybe a little plain, but it is a recipe page so best to stay clear and focused on the recipe. This was one challenge that really got me thinking, really pushed me creatively, and I really liked that. 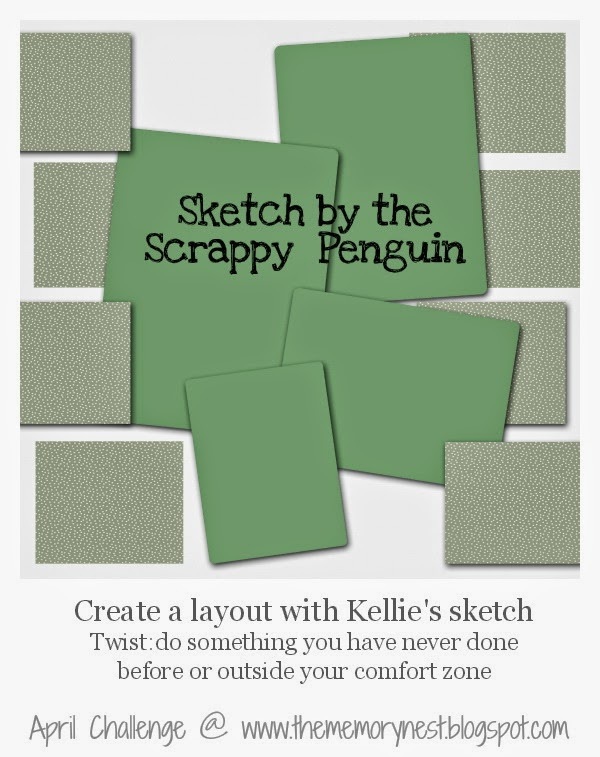 Thanks to Kellie for issuing such a great challenge! Thanks Leslie. It is great to be challenged by these sketches...I feel like it helps me grow as a scrapbooker.